I’m going to discuss a unique, non-invasive test to determine mitochondrial dysfunction. But first, I’ll start with a discussion of mitochondria. Mitochondria are the energy sources of the cell. They are embedded within the cytoplasm of our 30 trillion human cells. Some individual cells have only a few mitochondria; our most active cells (like heart muscle) may contain as many as 2,400 mitochondria per cell. The only human cell lacking mitochondria is the red blood cell. However, energy production is not the only purpose of our mitochondria. Mitochondria also produce heat as necessary, assist in calcium signaling within the host cell and throughout the body, and will induce cell death (apoptosis) when its host cell is damaged beyond repair. In addition, mitochondria regulate insulin in the cell, synthesize cholesterol and other steroids, and participate in other functions required by specialized cells. 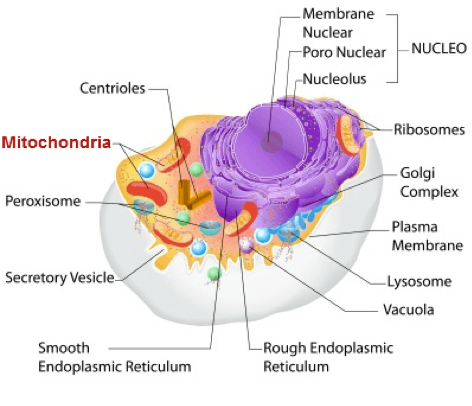 Another critical function of mitochondria is to interact intimately with other organelles of the cell, especially peroxisomes, to create cellular homeostasis. When the mitochondria within a cell cannot produce enough energy for these mitochondria to function properly, then the cell cannot function properly. When this occurs, it is called mitochondrial dysfunction. Mitochondria can become damaged and dysfunctional when necessary nutrients are not available from the gut, when the energy created by mitochondria is less than the free radicals they produce, and when mitochondria are unable to repair themselves or increase their numbers in their host cell. Also, specific environmental elements and medications can be toxic to mitochondria. These include xenoestrogens (estrogen imitators) in the environment; acetaminophen (Tylenol); statins (anti-cholesterol drugs); glyphosate (Roundup); heavy metals like lead, mercury, and aluminum; and dirty electromagnetic fields that are all around us. Most, if not all, chronic diseases may have mitochondrial dysfunction at its core. From a dental perspective, a research paper published in 2016 showed that active periodontal disease is a disease of mitochondrial dysfunction. 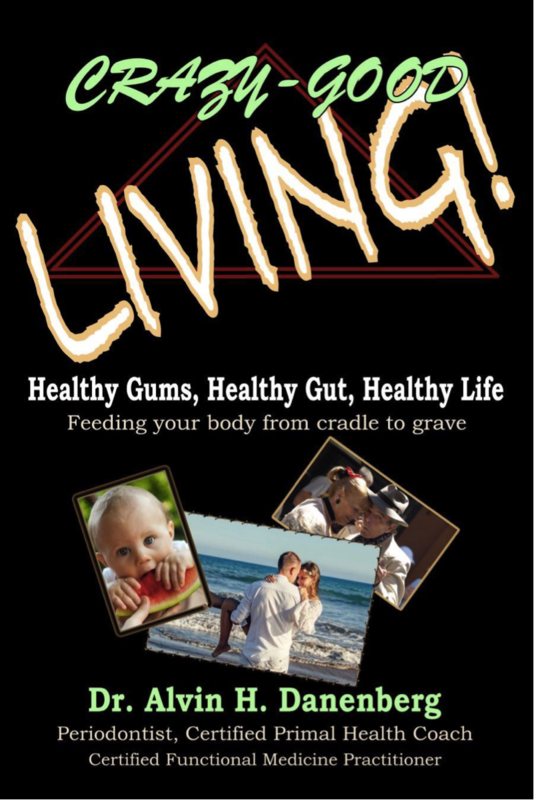 An important goal for healthy functioning cells is healthy functioning mitochondria. Current research suggests that supporting the mitochondria’s ability to maintain health and homeostasis in the cell is crucial for life. So, it would be helpful to determine the overall health of the mitochondria in the body. The “gold standard” method to determine mitochondrial dysfunction is an invasive test involving a biopsy of muscle tissue. Other tests have been used with questionable success such as testing levels of lactate, pyruvate, and alanine-lysine ratio. In 2012, a medical study reported a unique, non-invasive method to determine the degree of mitochondrial dysfunction. The technique has been further developed into a proprietary test called Mitoswab(R), which has at least an 84% correlation with the results of muscle biopsy testing. Since healthy mitochondria are required for the healthy functioning of cells, then testing the health of mitochondria could alert a person of a potential problem. Also, initial testing could establish a reference level before treatment. Then, a second test after treatment could confirm improved mitochondrial health and success of treatment. Periodic future testing could provide important information about tweaking diet, lifestyle, and other medical therapies. The testing process using Mitoswab(R) is simple. The test kit comes with 4 sterile cotton swabs that are rubbed on the mucosa of the cheek area on the right and left sides of the mouth – two swabs for each side. The swabs are inserted individually into 4 plastic tubes, placed in a package containing freezer packs, and sent by FedEx to Religen Labs to be processed. The lab will create a report describing the efficiency of the energy production of the mitochondria from the sample. These results are highly correlated to the overall health or dysfunction of the mitochondria in the body. Healthcare professionals could order and perform these tests quickly and easily for their patients. Also, individuals could obtain these tests from their healthcare professionals and take their own cheek samples at home. Moving forward, information from these tests could help create a protocol for repair. My recommendation would be for individuals to consult their healthcare practitioners to determine if Mitoswab(R) might be beneficial. If this test is selected, the results could help the healthcare professional and the patient tweak specific diet and lifestyle changes as well as choose other medical therapies. Is this covered by insurance and what is the cost? Interesting… almost everyone that’s breathing will likely have mitochondrial dysfunction. It would probably be wise to prioritize resources on getting lifestyle, diet and behavior sorted first. If one is still not feeling amazing, or for curiosity sake, go for the test. The Mitoswab website does not list the cost of the test kit. What is the cost?